Are you passionate about History? Read about some of the most advanced ancient civilizations of all time and take a trip to see the remnants of these forgotten worlds. Along with the Four Great Inventions of Ancient China – printing, paper-making, the compass and gunpowder – the Ancient Chinese have also been credited with inventions ranging from kites to toilet paper. The first recorded observations of solar eclipses and comets were also made in China. The Chinese brought time-keeping into our lives through Shadow Clocks – forerunners of the sundial which first appeared in China around 2,500 years ago. The crossbow was also developed by the Qin Dynasty which later became the main weapon of European warfare. The Ancient Egyptians are renowned for being advanced in areas such as Math and Architecture, but did you know that they were forward-thinking in the field of medicine too? Parasitic diseases and malaria were prevalent with the harsh living and working conditions near to the River Nile, with the added danger of crocodiles and hippos. There is evidence that the Ancient Egyptians had knowledge of anatomy, injuries and practical treatments – with wounds being treated by bandaging with raw meat, opium being used for pain relief and linen soaked in honey to stop infections. Ancient Egyptian surgeons were able to set broken bones and stitch wounds, and garlic and onions were used for good health – a tradition that has continued to this day. Ancient Egypt was also ahead of their time with regards to gender equality – they viewed all men and women (apart from slaves) as equal before the law. Egyptian women had significantly more choices and opportunities than many of the more modern societies of the period, two prominent examples being the female pharaohs: Hatshepsut and Cleopatra. From their capital of Cusco, Peru, the Incas conquered an Empire reaching from Southern Colombia to central Chile, and the roads they built created the most sophisticated and extensive transportation system in pre-Columbian South America. One part of this ancient road is the Inca Trail, leading to Machu Picchu. Whether reached by train (the easy way), or via the Inca Trail on a 2-4 day trek (the tiring way), seeing Machu Picchu up close is an essential experience for any modern-day South American adventure. 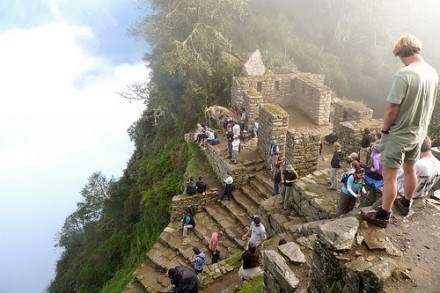 If you want to complete the trek you’d better be quick though – with trekking numbers strictly limited by the government and rumors that it may be closed to the public in future, time may be running out to complete a pilgrimage to this great archaeological site. 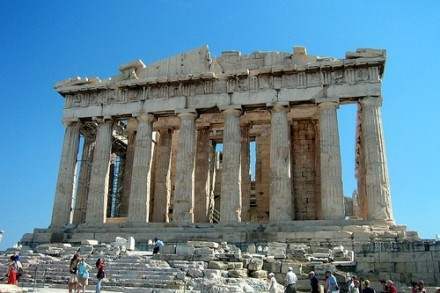 Although well known for their sophistication in Architecture, Math and Astrology, the Ancient Greeks took great strides in the literary world too – playwright Aeschylus invented ‘drama’ through the idea of dialogue, Sophocles is credited with developing irony as a literary technique, and Euipedes used plays to challenge social norms – something that has continued to the present day. Referenced in Blockbuster disaster film 2012, the Maya are well known for being brilliant astrologists and outstanding mathematicians, credited with the invention of zero and measuring the length of a solar year with great accuracy. What is less well known is the sophistication of the methods they used to produce food – with permanent raised fields, wild harvesting, forest gardens and terracing supporting the population – practices that modern-day Maya people continue today. 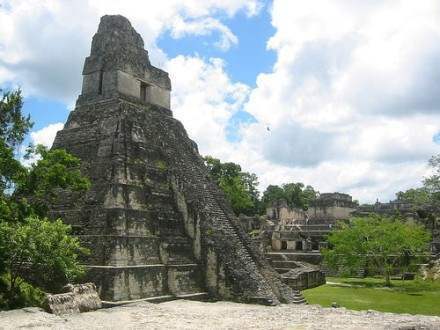 If you’d like to check out some Maya archaeological sites, Palenque in Mexico, Tikal in Guatemala and Copan in western Honduras are well worth a visit. With around 200 known sunken cities in the Mediterranean, we know that the Osirian Civilization, from the time of Atlantis and Rama, was extremely technologically advanced, with megalithic structures (comprised of very large stones) that were earthquake-proof, and evidence of electricity. 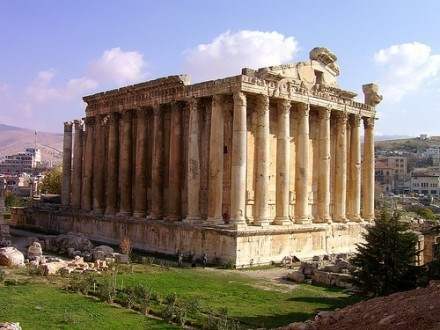 An awesome example of this advanced technology is the Osirian platform found at Baalbek, Lebanon. Made of individual stones, some of which are nearly 100ft long and are estimated to weigh up to 1500 tons each, there are multiple theories about how these stones might have been moved – from using wooden rollers, to flipping them over with levers. Over the last hundred years, the cities of Harappa and Mohenjo Daro (Mound of the Dead) have been discovered in modern-day Pakistan, in the Indus Valley, but what made this ancient civilization so advanced? Archaeologists believe that these cities were conceived in their entirety before being built, demonstrating an incredibly advanced example of early city planning. Even more incredible is that the sewage system found in these ancient cities was actually superior to that found Pakistan, India and many Asian countries today. Have you visited any of these sites? What other civilizations would you add to the list? Post your comments below! * Please note, the existence of the Osirian and Rama Civilizations are disputed by some Historians. Details of these ancient civilizations remain shrouded in mystery. A great selection of places, that I’d absolutely love to visit! Thank you. I think an obvious one is the Roman empire and I think some of the ancient empires in the Middle East left some impressive legacies. wow, very nice selection! If I make an exception with Mayan civilization, the one that I am most attracted with is old Egypt, never had opportunity to travel there, but hope some day I will. 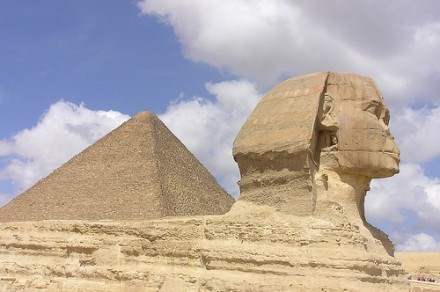 Old mysteries of humanity, makes me think how come we are here right now in this point of civilization!? I think that the Greeks should be a little higher up on that list with the invention of the Antikythera mechanism with was essentially the first computer. It was used to calculate astronomical positions. Also I’m not even sure the Osirian civilization (whatever that is) even existed, or the Rama civilization. I can’t find a single reliable reference to either save some crackpots top ten list. I mean think about it if there was an ancient civilization out that that had or showed signs of using electricity that it would be referenced by…well everyone? Finally Atlantis was a metaphorical story Plato made up to teach his disciples about the dangers of advancing beyond ones means. Also the Greeks and mayans where great astronomers, astrology is about how the placement of the planets and the stars determine whether or not you’re going to be a jerk or mild mannered depending on what month you were born. Research first please. Amazing pictures !! amazing post. The author is either a complete moron or an eighth grader writing a paper on a tight time-line. The asterisk at the bottom stating that 28% of this article is “disputed” should be enough to point out that the author is a blatant hippy as she left out the Roman empire or the Carthaginians in favor of two fictional cultures and three others that are near and dear to new age con artists. Plus the fact that the two empires she includes in the western hemisphere were still in existence until fairly recently smacks of racism. About the maya cities, I would like to remark that Copan in Honduras is probably the best place for people to see sculpture and impressive artistic stonework from the classical maya era. It is often called the athens of the new world for its artistic richness, along with being the only maya site where a real temple still covered in stucco and original painting can be found. theres actually a replica of the whole temple built inside the museum, and theres a lovely spanish colonial town just outside the archeological park. one thing left me thinking.. who were the Osirians? i had never heard of them. pardon my ignorance but I would really like to know more about this culture. So fascinating, the ancient Maya and Chinese civilizations are the ones that attract me the most. 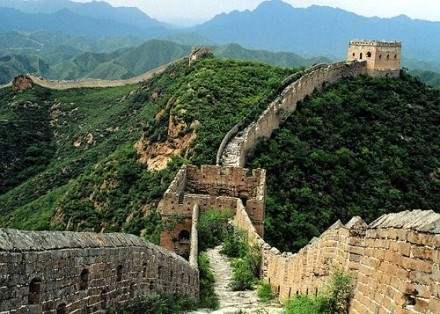 I’ve only visited the Great Wall of China so far, heading to India next, very curious of what I will find! You need to check your facts my friend. Coming from someone that studies this stuff everyday, your forgot the Romans, Persians, Mesopotamia. The Old World Empires and civilizations should be on this list, not the Andean South American sites (Inka), which hardly rival the powers of the China, Mesopotamia, Egypt, and Rome. Yes, they share some fundamental similarities, but no one could dispute the power of the Romans or the Persians. You didn’t mean Assyrians did you? And how about some more of the great African Empires? Those of you who are saying the Roman Empire…it was not ancient, firstly. It was Classical. several of these are classical and post-classical eras as well (china, maya, greece). Secondly, the Roman Empire (not counting Byzantine “Rome”) only lasted a about 300 years before it began to dissolve. Prior to that it was a republic, and prior to that it was a city-state within the land controlled by the Etruscans. 3. The “Rama” are generally called Mohenjo-Dharrans, or Harrappans. Where the author got Rama, I am not sure. 4. Atlantis in generally considered allegorical to Crete and the Minoans, or the “Sea People”. The Osirian civilization mentioned above is the author (erroneously) combining the different Mediterranean civilizations like the Phoenecians, Minoans, perhaps Cypresians, and other peoples of the Mediterranean islands. Many of which WERE exceedingly advanced for their time. Also, the Inca were not ancient. At all. There was, however, an ancient empire in the land they later claim to live on, though I sadly cannot recall the name. There were several others in south and central America in ancient days as well. Lastly, the advancement of Greece depends on when you are talking about in their history. Greece had a “Dark Ages”, during which time they were not technologically advanced at all. It is in fact likely this exact lapse in their power for several centuries which allowed neighboring civilizations to expand and hold against the Helenes. Hellenic Greece never became very large or powerful, rarely holding more than the Greek peninsula and small parts of Illeria. It was not until the Hellenistic greeks, long past “Ancient”, that they became a dominant empire. Great list and pictures! These are 7 with very visible remains and hopefully I’ll be able to visit them all. The Uiger civilization of the Gobi Desert may also belong on the list. Inclusion of the Incas on this list is mind boggling. 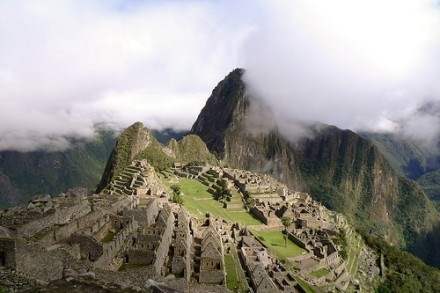 The Incas would have been amazingly impressive if they’d existed two thousand years before their time, but in 1200 AD? Nah. I have to say , this list is full of historical inaccuracies, misconceptions about myths so that they are presented as facts , and outright falsehoods. Personally I would place greek civilization at the top of the list (from the classical to late hellenistic periods), part of this includes their vast cultural influence, from western europe to india. I dont know about the others, i suppose i’d place china as 2nd for the period known as antiquity, and perhaps india or rome as 3rd. With rome im referring to the republican era untill the end of the western empire. I suppose i am excluding the bronze age from my edited list, because that over-complicates things. 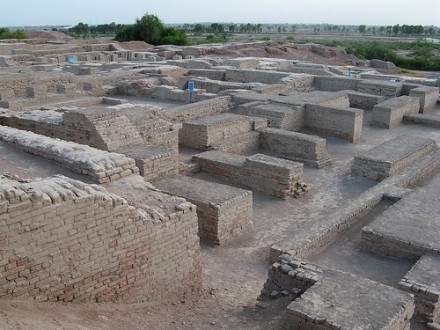 I must admit that harappan civilization was very advanced for its time, with clay pipe plumbing and centrally designed cities being in common use. Finally, although this may make many people who hold romantic ideals about the mystical native american civilizations who were so advanced and ingenious, I must say that in general their achievements pale in comparison to those of old world civilizations. I’m not claiming that the meso americans ect were inherently stupid, just that their rate of technological development was vastly superceded by old world civilizations in general. They were no better than europeans ect before columbus came, they fought wars and massacred each other in great numbers just like any other people. Finally, althought im probably somewhat biased because i have western european heritage, I think the celtic peoples of europe would be included in such a list. Im not claiming that “celt” means a race, ethnicity, or individual empire. Just a complex of different cultural traits. Unfortunately rome’s genocidal wars allowed for a very thorough destruction of the achievements of celtic groups. Check out terry jone’s barbarians series for information about new discoveries about the celts, in particular the gauls. Although he is also a little biased, all his claims are based on solid evidence. I meant my comment about meso americans would make the people with ahistorical notions of their lives angry. Don’t forget the wonders of the Orkney and Shetland Islands – Skara Brae on Orkney pre-dates the pyramids. Some other sites have only been discovered in the last 10 – 15 years. It’s a “MUST SEE” if you are visiting Scotland!! Don’t waste your time looking for “Nessie”. These empires and choices are most interesting. I would love to visit and by the way I am only 14 years old and I am a very smart and know all about these empires. When it comes to Civalisations most of the developed paled skinned world tend to be racist and glorify the Civs of Europe & Asia while Poo-poo on and oppress the African, Native American and Middle Eastern Civalisations cause of the color of their skin. Keep doing that and we will get a North vs South Nuclear World War 3 where everyone will lose and become extinct like the dinosaurs. Where is Mycenae? Where is Knossos? Where is Akrotiri? since 4000 b.c? Rama? Where’d you get that one from? You meant the Indus Valley Civilization, didn’t you?